Apple Cake | Rosetta Bakes! Sometimes you have just a few apples left over from a previous recipe and you want to use them up. Most apple recipes call for more than just a few apples, so this recipe is a good one for only a few (4 cups diced). 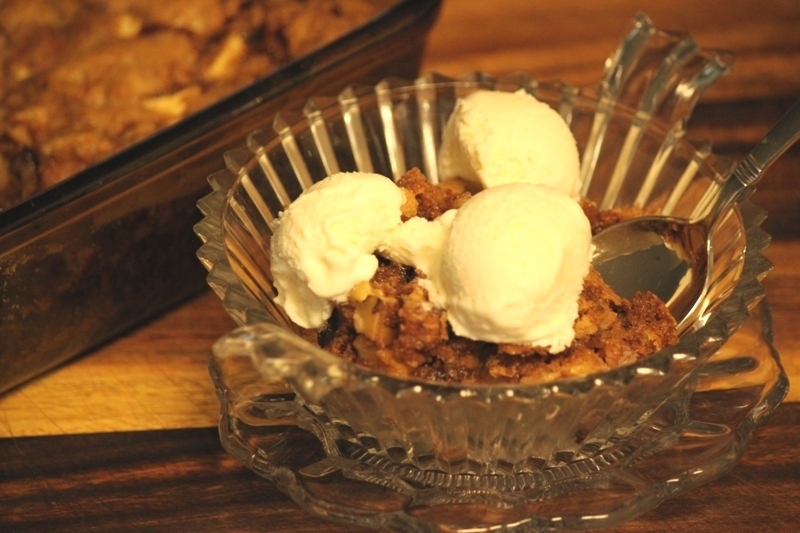 This recipe does not say what type of apples to use, but I use granny smith apples. This is not a cobbler, so it will not be wet like a cobbler, but you can serve it like a cobbler…but it’s a cake! Combine apples, oil and sugar. Add eggs. Combine and add dry ingredients. Stir in vanilla and nuts. Spread into a greased 13 x 9 inch baking dish. Bake at 350 F or 45 minutes or until done. This recipe can be cut in half using an 8 x 8 baking dish at 350 for 30 to 35 minutes.